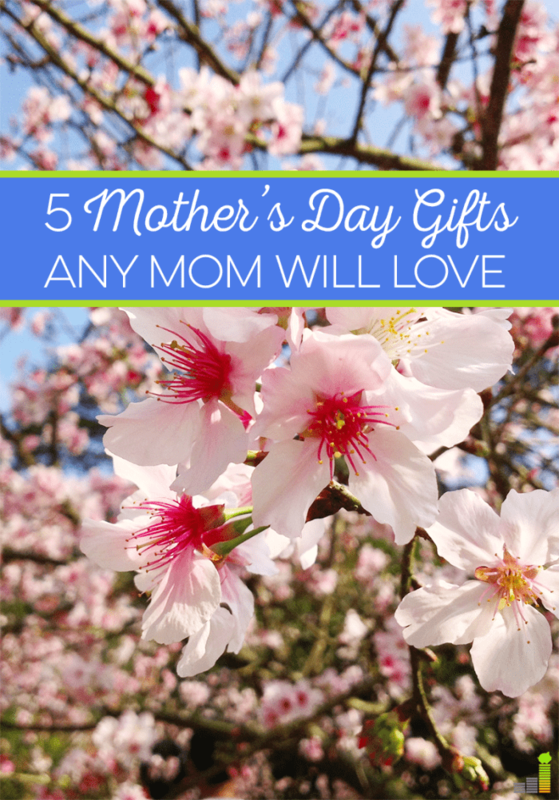 If you haven’t started looking for last minute Mother’s Day gifts I have to let you in on a secret – you still have time to get a good gift – but it is less than two weeks away. I’m of the opinion that you don’t need a calendar to tell you when to show love to someone, but Mother’s Day is still Mother’s Day. That being said, it seems like many are always looking for affordable Mother’s Day gift ideas up to the last minute. I like to get any shopping I do out of the way quickly as it helps with comparison shopping and getting a good price. With that in mind, I thought I’d share some of the Mother’s Day gifts I’ve purchased for Mrs. Frugal Rules or our moms in the past. The important thing to remember when it comes to shopping for Mother’s Day gifts that it doesn’t come down to price, but the thought. The National Retail Federation estimates we’ll spend close to $24 billion on Mother’s Day gifts in 2017 – or nearly $190 per Mom. Much of us buying gifts will go with the traditional gift of flowers. I’m not going to say that it’s wrong to buy flowers from someone like ProFlowers for Mother’s Day, but I’d rather give something that’s going to last more than a few days. I also want to give something that I’ve put some thought into. I want to personalize it as it’ll mean that much more to our respective mothers. Some of the best Mother’s Day gift ideas I’ve come up with in the past have been ones I didn’t spend an arm and leg on, but were small, unexpected and greatly appreciated presents. Related: Check out the Mother’s Day shop at Amazon for all of their top gift options! What mom doesn’t like to relax after a long day? I wrote about the Bamboo Bath Caddy as a Valentine’s gift idea because I know many women enjoy taking a hot bath. The Bath Caddy allows them to enjoy the experience a little more. 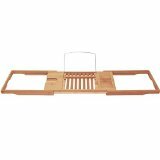 The Bamboo Bath Caddy lets you to bring accessories into the bath without damaging them. It fits across the bathtub and allows you to hold things like a book, glass of wine, television remote or any other related item. This is one of those Mother’s Day gifts mom can enjoy now and for the long run thanks to its sturdiness. If you’re mom or wife is a reader like my wife is then they’re always reading something. The problem comes in when they don’t want to have a bunch of books lying around. This is where buying a Kindle can be a great idea. A practical gift, yes, but still makes for one of the best Mother’s Day gifts to look at. 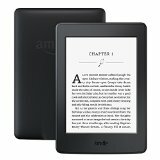 You don’t have to stop at a plain Kindle though, as you can also look at a Kindle Fire if you want to give your mom or wife the ability to watch movies, read magazines or play games. If you have an Amazon Prime account they match up well with a Kindle Fire. One of the best Mother’s Day gifts I’ve given in the past was a DIY gift. You can do it however you like, but I usually like to turn it into a gift basket. You can put items like lotion from The Body Shop, candy or even a small gift card to their favorite store. 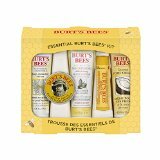 My wife loves Burt’s Bees, so I usually buy the Burt’s Bees Everyday Essential Beauty Kit, or something similar, as it provides a number of different items like soaps, lotions and lip balm. It allows me to get her several items without spending a lot of money. Not everyone likes to drink water, but we need to drink it. You can drink one of the various fruit flavored waters out there, but they often add sugar, which many don’t like. The perfect solution to this is the Savvy Infusion Water Bottle. 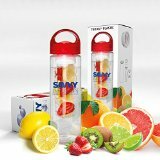 The Savvy Infusion Water Bottle allows you to create your own fruit flavored water – with your own actual fruit. Shocker, I know! Like the Kindle, this is one of the more practical Mother’s Day gifts but is a nice little gift that doesn’t cost a lot of money and would be appreciated. Just think, whenever the mom in your life fills up her water bottle for a drink, she’ll remember you gave it to her and smile! We’ve had a Keuring machine in our house for years because we love to drink coffee. We especially enjoy the convenience of making one cup at a time. We normally just grind our own beans as opposed to buying K-cups as a means to save money. However, if we find a good deal we’ll buy them from time to time. The problem is finding a place to store them. 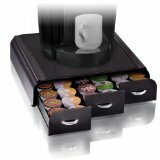 This is where the Mind Reader Anchor Coffee Pod Storage Drawer comes into play. We love it as it allows us to easily store the cups so they’re not lying all over the place and it doesn’t take up a lot of space on the counter. If your mom or wife likes to drink coffee or tea this is one of those Mother’s Day gifts they’ll love to have. You can even pair it with a nice coffee mug or french press to round out the gift. How much do you spend on Mother’s Day gifts when you buy? How much was the cost of the last Mother’s Day card you bought? I believe I am getting perfume or a set of packed items from the Body Shop for this Mother’s Day. And, I gotta plan what recipe I would do on that day at home. Thanks for reminding us about this special occasion. Sounds like a solid gift to me Jayson – especially cooking a nice meal from home. For shame, O Frugal Rules! K-Cups? Really? My heart be still. My eyes deceive me. There is no economic or ecological (let alone logical) reason on the face of the Earth to invest in k-cups. Study after study shows that home brew by ANY other method can be far more frugal. Say it ain’t so! Even on sale, the waste generated by k-cups will clog landfills for decades. Yes, there is convenience. Buy yourself a Melita reuseable one-cup cone filter and you will get better coffee cup after cup.